A seasoned Senior Project Manager with more than 10 years of experience at GCG, Jaime Firenze manages a variety of cases including both securities and consumer class actions. Starting as a recent college graduate in 2005, Ms. Firenze has progressed through a variety of roles and cases, including some of GCG’s largest and most complex securities cases. Her securities casework includes two Lehman Brothers matters with a total of over $615 million in settlements that involved more than 70 unique financial instruments. She also worked on the $1.1 billion In re Royal Ahold N.V. Securities Litigation, and the almost $800 million Tremont Securities Law and State Law Litigation which arose as a result of litigation surrounding the Bernie Madoff scheme. 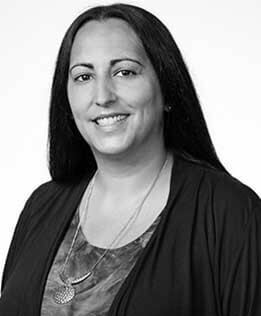 In addition, Ms. Firenze was a key resource during GCG’s Full Tilt Poker consumer administration, where she was part of the team that coordinated a massive email noticing campaign in which GCG sent over 1 million notices to former customers of the website, and handled resulting high volumes of claimant communication.